A fully-illustrated sports injury manual for the treatment and prevention of sports injuries. 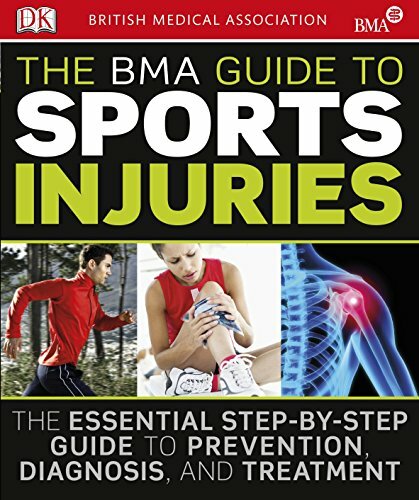 Produced in collaboration with the British Medical Association, it includes a directory of all common sports injuries outlining causes, symptoms and diagnoses. It is designed for amateur sportsmen, women, coaches and trainers. Your one-stop manual for the treatment and prevention of sports injuries Produced in collaboration with the British Medical Association, this is the first, fully-illustrated sports injury manual, ensuring reliable, up-to-date information. Includes a directory of all common sports injuries outlining causes, symptoms and diagnoses. Step-by-step exercise routines are provided for immediate treatment as well as long-term strategies to prevent injuries recurring. Covering all sports from snowboarding to tennis, this is the ultimate injury manual and is designed for amateur sportsmen, women, coaches and trainers.